You can complain about the sad fact that women and their achievements are underrepresented in mainstream media as well as school and university curricula and public events – or you can do something about it and initiate change. 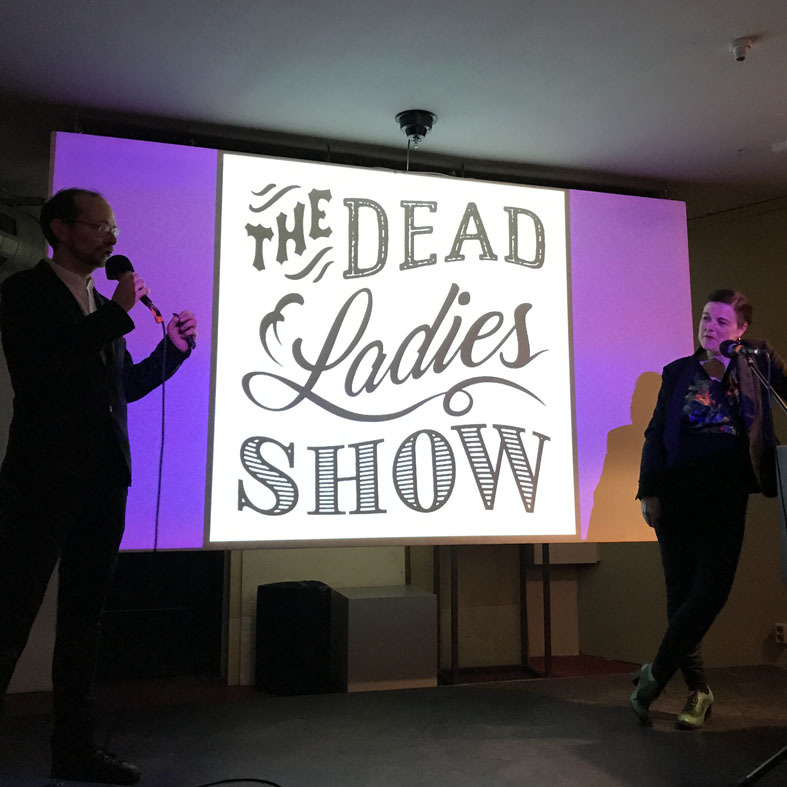 A team of three committed Berliners chose the latter and created “The Dead Ladies Show”. 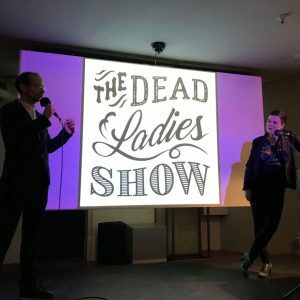 The Dead Ladies Show is hosted every couple of months at ACUD in Berlin (link to their website) and puts women in the spotlight who have “achieved great things against all odds”. Among the chosen ladies were, for example, musicians, mathematicians, authors and painters. The team behind the show consists of translator Katy Derbyshire, Florian Duijsens, the fiction editor at SAND Journal (link to the journal’s website) and journalist Susan Stone. Katy and Florian host the shows and introduce the speakers in a fabulous mix of English and German, and Susan produces and presents excellent podcasts so that those of us who couldn’t make it to the shows get to listen to a selection of the presentations later on (or to allow us to revisit them, of course). 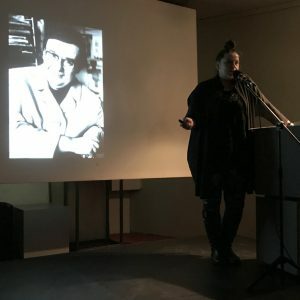 The presentations shed some light on the three women’s struggles of being recognized as artists, in one case even of how she was first included and then kicked out of the literary canon (Christa Reinig). 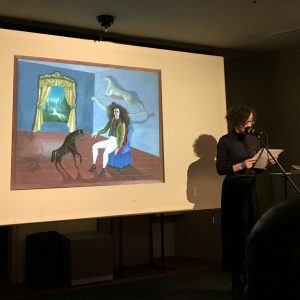 They included tales of actually joining the circus (Memphis Minnie) and of freeing herself from being seen as “femme enfant” in artist circles and escaping from mental institutes (Leonora Carrington). 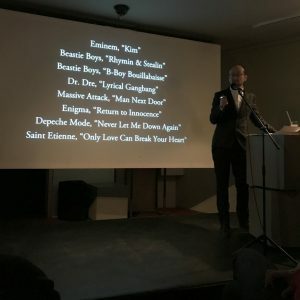 Jessica Miller’s closing words can actually also serve for many other women portrayed in the Dead Ladies Show: “She shows us what it might look like to win – and it looks pretty good.” Some impressions of the November show can be found here: link to the official website. I highly recommend the podcasts and the website! The website will give you access to the podcasts, allow you to register for the newsletter, provide a glance at pictures from the shows, and invite you to discover the “Hall of Dames”. The podcasts can be accessed via the website, but they’re also available on Soundcloud, iTunes and other platforms. The first podcast starts off with a conversation between Susan, Katy and Florian during which they explain their vision and ideas behind the format. And in all three podcasts that are available so far, you can discover more about some amazing (dead) women who have shaped our world without getting the recognition they deserve. The next Dead Ladies Show will be presented on 13 February 2018 – save the date!